Unlocking the next 10 years of healthcare innovation. Tech is from Mars, pharma is from Venus? The next big innovations in healthcare are as likely to come from smartphones and smart devices, as they are than from laboratories. Call it medtech, healthtech, digital health, or digiceuticals, big developments are at hand. Interest has peaked most recently thanks to the announcement by Amazon, JP Morgan, and Berkshire Hathaway to build their own healthcare company. The as-yet-unnamed initiative says its initial focus will be technology. There’s no doubt it will have a huge impact on the US healthcare market. Let’s face it though – tech on its own is unlikely to disrupt healthcare the way it has, say, financial services or retail. The big healthcare innovations of the next decade are going to come from drugs, devices and software complementing one another. That means making medicines more effective, improving patients’ lives, reducing medical interventions, and so on. And there’s the rub. The world of ‘dry’ tech is governed by ideas like rapid prototyping, agile, and revenue models that work in months rather than years. It couldn’t be further from the world of healthcare, where evidence, rigour and long-termism are everything. It is as though these two highly innovative industries exist in different worlds. To understand more about these two worlds, and find out how they could work better together, we’ve partnered with IMT Innovation, Europe’s largest digital health network. Together, we’re asking digital health companies about their experiences of working with pharmaceutical firms, to understand exactly where the barriers and opportunities lie. If you work in this field, we would love to hear from you. 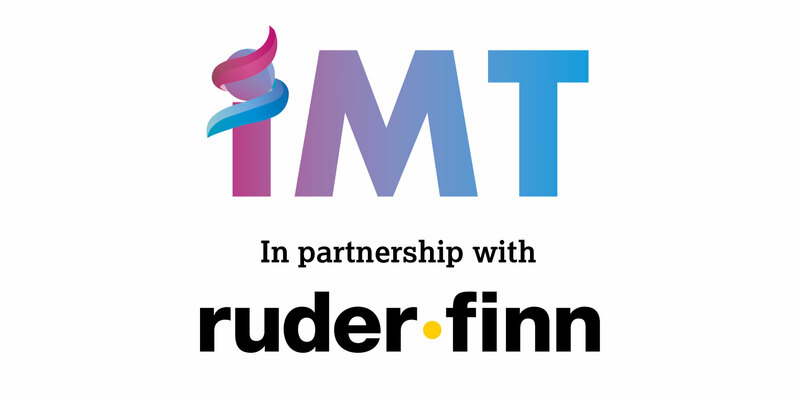 You can take part in the survey here: http://bit.ly/medtech2018 and you can tweet us on @ruderfinnuk and @imtinnovation. We’ll be sharing the results at a special workshop in the next few months. Stay tuned for updates!